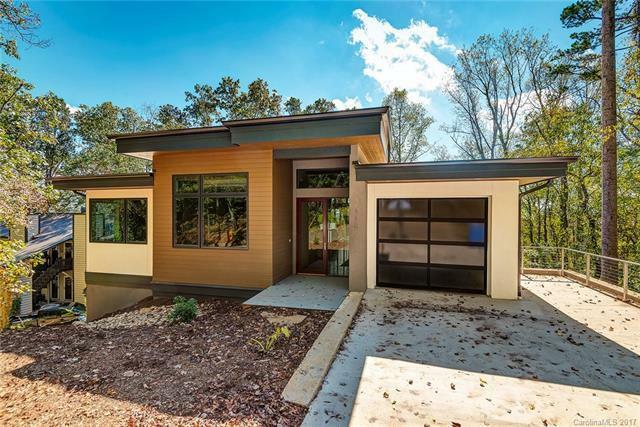 A modern masterpiece on an infill lot in the heart of Asheville with city and mountain views. This WNC Green Built home with attached 1 bedroom ADU boasts top-of-the-line materials, workmanship and features - oak engineered wood flooring, 12' high ceiling in Entry and Great Room, expansive aluminum-clad wood windows and patio doors, Hansgrohe plumbing fixtures, solid-wood 8' tall interior doors and solid brass door hardware - to name just a few. Seller is interested in doing a one year leaseback.